As your day progresses, your “to-do” lists continue to grow and grow. When there never seems to be enough hours in the day to take care of everything you need to, call All Star Cleaning Services. Our team of professionals will take care of those one-off housekeeping tasks that have built up. We provide the Loveland, CO area with a strong group of experienced housekeepers ready to help you with those tasks. We understand that when given the opportunity to put laundry away or do something else, often people chose to do something else. Cleaning and organizing tend to be at the bottom of the list for desired activities. Which is why hiring a professional house cleaner is a great option. Our local Loveland team is ready to take care of those mundane tasks that pile up over time. When working with our professionals, you know that your request will be taken care of under the direction you give. Our fee-based services will take care of those one-off tasks and allow you to add time back into your life to accomplish more in your day. 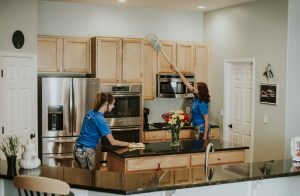 Whether you have us routinely clean your home from top to bottom or utilize our services periodically to catch up on the details of housekeeping, we are the cleaning team to trust. 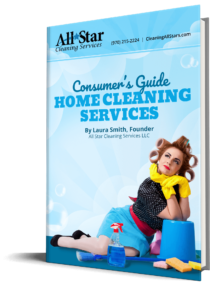 All Star Cleaning Services connects with our clients and their cleaning requirements on a personal level. We take an individual approach to cleaning and organizing. You receive the same level, completed to your specifications every time. Call us at 970-215-2224 to learn more about our upon request service options.